Er-Xian - Can It Provide Natural Relief for Hot Flashes? Er-Xian for the Natural Relief for Hot Flashes? Er-xian is a natural remedy consisting of herbs long used in traditional Chinese medicine (a form of alternative medicine that originated in China) such as mulberry and dong quai. Sometimes referred to as Er Xian Tang or Er-xian decoction, it's sold in dietary supplement and tea form. Er-xian is most commonly used to relieve symptoms associated with menopause. In addition, Er-xian is said to enhance mood. 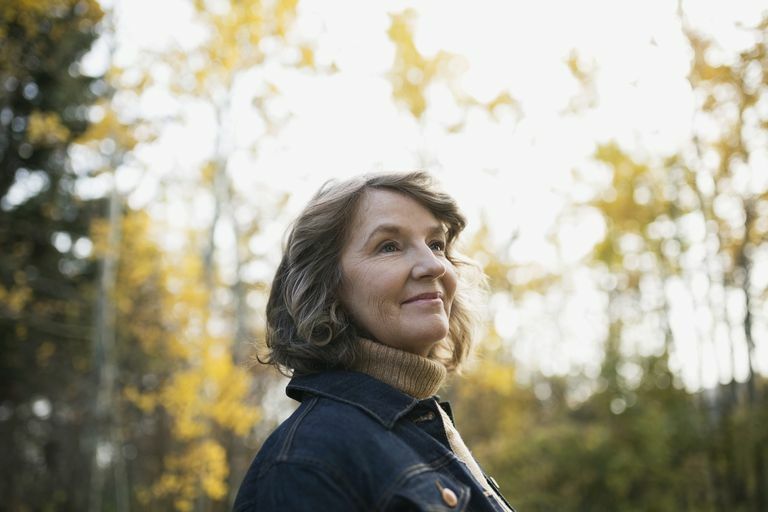 Er-xian may benefit midlife women experiencing menopausal symptoms, according to a report published in the American Journal of Chinese Medicine in 2008. In their review of five previously published studies involving a total of 677 participants, the report's authors concluded that Er-xian is effective in treating menopausal symptoms. However, due to the low quality of the reviewed studies, the authors note that more clinical trials are needed before Er-xian can be recommended in the management of menopausal symptoms. The most recent research on Er-xian includes a clinical trial published in Menopause in 2013. For the study, 108 midlife women experiencing menopausal symptoms were given either Er-xian or a placebo for a period of 12 weeks. Results revealed that those treated with Er-xian had a significantly greater reduction in the frequency of hot flashes (compared to members of the placebo group). In addition to reducing the frequency of hot flashes, the use of Er-xian also appeared to improve quality of life. of life. Preliminary research indicates that Er-xian may help protect against osteoporosis. In a 2006 study published in the Journal of Ethnopharmacology, tests on rats determined that treatment with Er-xian helped improve bone mineral density (a key factor in the prevention of osteoporosis). Due to a lack of research, little is known about the safety of long-term or regular use of Er-xian and how the formula might interact with medication. Keep in mind that supplements haven't been tested for safety and dietary supplements are largely unregulated. In some cases, the product may deliver doses that differ from the specified amount for each herb. In other cases, the product may be contaminated with other substances such as metals. Er-xian shouldn't be taken by pregnant women, nursing mothers, or children. You can get further tips on using supplements here. A number of natural remedies show promise for the treatment of menopausal symptoms. For example, there's some evidence that black cohosh, soy, and red clover may help reduce hot flashes. In addition, you can reduce hot flashes by avoiding certain triggers (such as caffeine, alcohol, and spicy foods), promoting relaxation through stress management techniques, following a balanced diet, exercising regularly, and improving your sleep quality. Available for purchase online, Er-xian is sold in some natural-foods stores and stores specializing in dietary supplements. Er-xian is also available from practitioners of traditional Chinese medicine. It's important to note that self-treating a condition with Er-xian and avoiding or delaying standard care may have serious consequences. If you're considering the use of Er-xian in the treatment of a condition, make sure to consult your healthcare provider. Chen HY, Cho WC, Sze SC, Tong Y. "Treatment of menopausal symptoms with Er-xian decoction: a systematic review." Am J Chin Med. 2008;36(2):233-44. Nian H, Qin LP, Zhang QY, Zheng HC, Yu Y, Huang BK. "Antiosteoporotic activity of Er-Xian Decoction, a traditional Chinese herbal formula, in ovariectomized rats." J Ethnopharmacol. 2006 Nov 3;108(1):96-102. Zhong LL, Tong Y, Tang GW, Zhang ZJ, Choi WK, Cheng KL, Sze SC, Wai K, Liu Q, Yu BX. "A randomized, double-blind, controlled trial of a Chinese herbal formula (Er-Xian decoction) for menopausal symptoms in Hong Kong perimenopausal women." Menopause. 2013 Feb 25.